I said it was going to be a busy week. It's new Issue Monday at Paper Issues. Yes, that's right. Need some ideas? How about Easter, egg hunts, Passover, adventures of all kinds (travel, museum, baseball park, etc. ), chickens/birds, eggs, spring, candy, math symbols (plus signs, number paper, etc. ), baseball, April Fool's Day (practical jokes, etc. 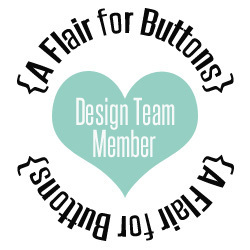 ), use cut files, 17turtles products, die cuts. 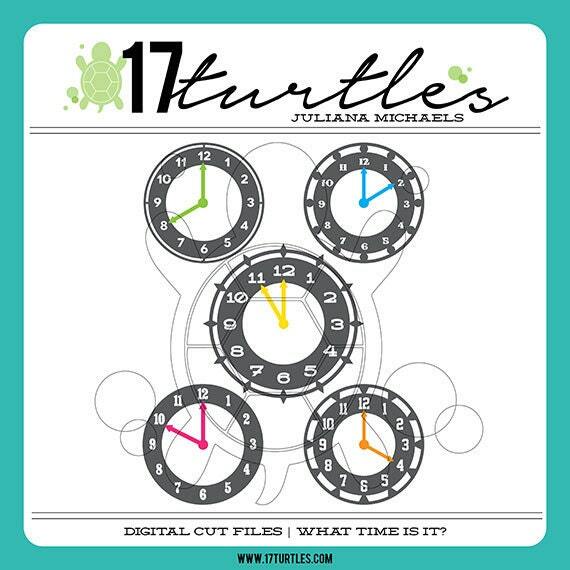 There is a discount code good through April 12th: PI17TURTLES25. 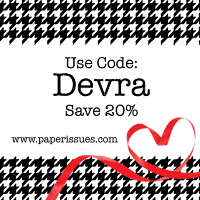 Good for 25% off any order. 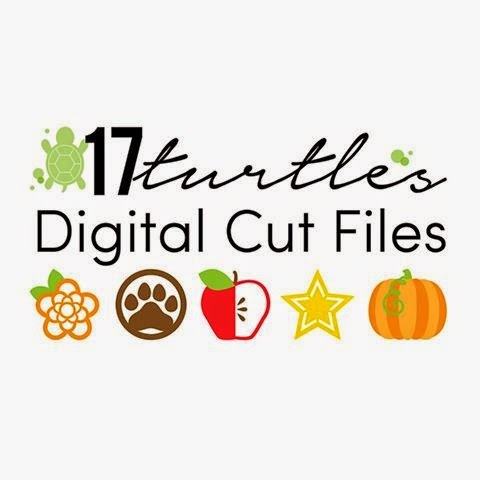 I used two 17turtles cut files. 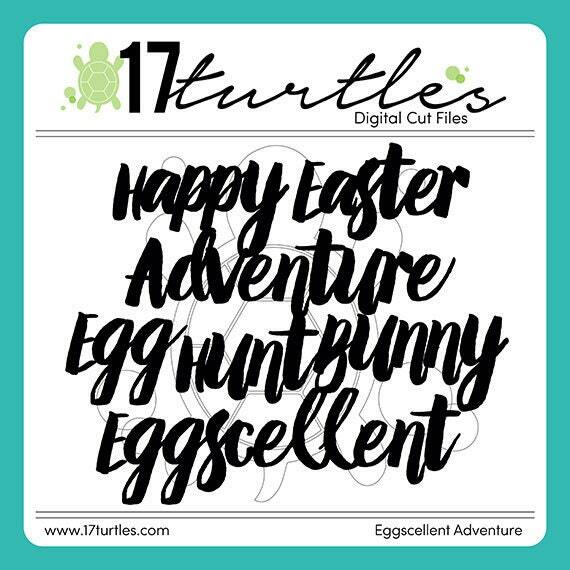 We were given the Eggcellent Adventures cut to use. 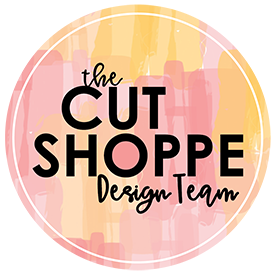 We were also given the opportunity to use another cut from the store, as long as we used both on the project. When I was looking through the 17turtles store, I came across the clocks. I had what I thought was a really great idea for my page. When it came down to it, the idea did not translate well to paper. Silly me. So I tweaked it, and this is the result. I painted the background of my page first. Then I used the Silhouette sketch pens to design the clocks over the painted paper. I'm so happy with the look. 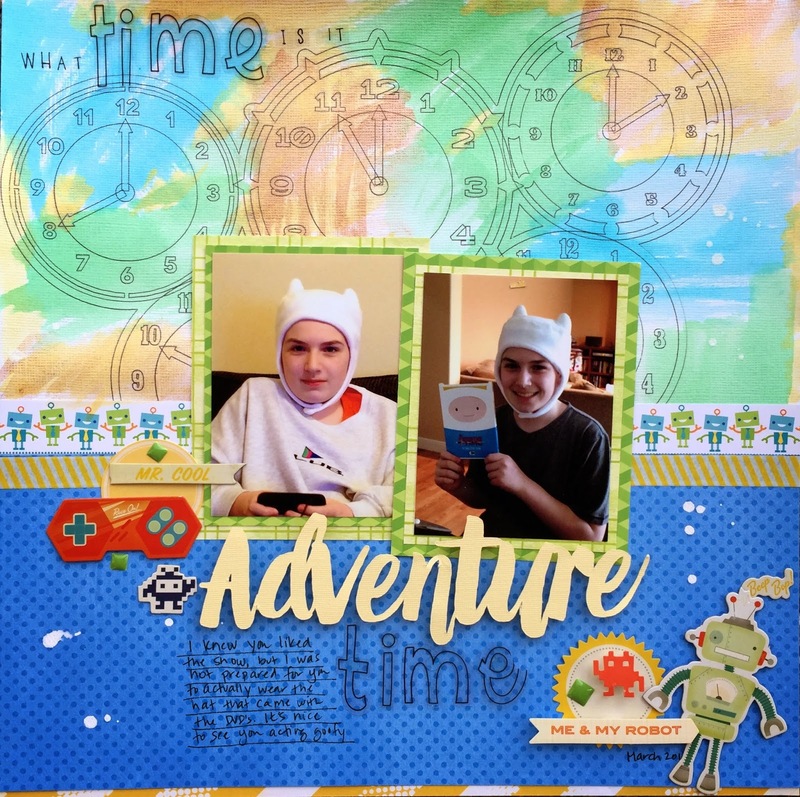 I cut the word adventure to be he came width as the two photos, then used pop dots to give them some dimension. Since I want the focus to be on the cut files, I used clear stickers and acrylic fonts for the rest of the title. The robots and game pieces by Crate Paper from the Boys Rule collection were the finishing touches. LOVE this Devra...especially the sketched clocks...great idea! This is fabulous Devra! I love how you used the sketch pen with the clocks!! !